This is a dark purple "First Option" moleskin/faux suede skirt. I wish you could see it better, it's so pretty... I'm sure I got it used. The "Madison Hill" sweatervest (should have taken my coat off) is beautifully crocheted in ivory and sparkly colored threads. It was on sale at Maxine's last summer too. I also had two adjustable Lilla Rose headbands in coordinating colors. I LOVE these headbands! The children all wore Hobbit capes. We had a lot of fun and really enjoyed the movie! 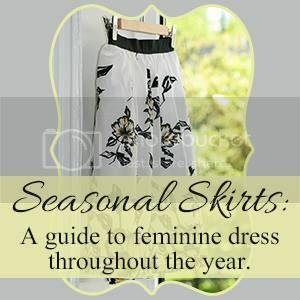 Welcome to the Seasonal Skirts Blog Hop, Winter 2015 edition! I love your outfits!!! I also love your graphic for the winter post! So cute!!!! I love that you wear hats! I always want to be that woman, but I always feel like I can't pull them off! I kept getting called "young lady" yesterday. LOL I guess my hat was covering up my silver sprinkles!